Tips to keep your belongings safe when travelling. Although New Zealand is one of the safest countries in the world to travel in, safety is always a concern when travelling as an small incident can ruin the trip of a lifetime. For this reason, many people find travelling a daunting thing. With so much to explore in New Zealand and so many people to meet and share stories with, it is easy to get distracted and lose an item of two. But do not fear, there are ways to keep your stuff safe when backpacking in New Zealand! With a bit of common sense and a few tricks up your sleeve, you’ll get by easily without having to think about it. Get started here, where we have compiled our selection of must-haves for worried travellers so you can travel with real peace of mind. For information on keeping yourself safe, take a look at Is New Zealand Safe? Probably the most popular tracking device on the market, Tile is both easy to use and really cheap. Using simple GPS technology, Tile allows you to find any item to which you have attached it to using the app on your smartphone. If it is out of reach, the community of Tile users get an alert and if one of them is nearby, you’ll receive a GPS location of the item in real time. Get more info on Tile! Trackdot is GPS tracking to a whole new level. Unlike Tile that needs a user nearby to detect it, Trackdot uses GPS and cellphone technology to deliver you with a real-time track wherever the item. Anywhere you’ve got cellphone reception you’ll know where you bag is. Plus, the subscription (to pay for the cellphone network used) is under NZ$25 per year! We use it, we love it! 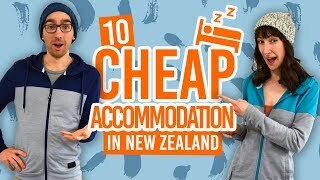 It’s one of the amazing 21 Travel Gadgets for Your Gap Year in New Zealand. Get more info on Trackdot! To keep your cash, passport and other important documents and items safe, there is no better way than keeping them close to yourself. Flat and discreet, money belts can be hidden seamlessly under your clothes. Make sure to get one big enough to fit all you want to keep with you and look into a versatile money belt so you can adjust it well to your liking. Going cheap on this item is a bad idea as quality varies a lot. Check out this versatile Money Belt! Get a padlock with a number combination: you’ve got more changes to lose one of these tiny keys than to forget a 4-digit combination. Check out this 2 pack of TSA approved digit Pad Locks! “Paywave” or “Tap&Go” (real name: RFID cards) are the new type of bank cards that, even if you don’t want it, it is forced on you by almost every bank. However, they make it incredibly easy for thieves to just, well tap you and go. With homemade electronic devices they can charge you up to NZ$80 by just walking next to you. Using an RFID blocking car holder, you will be able to block the RFID chip of your card. Just take it out of the sleeve when you want to use it. Get more info about RFID Blocking Card holders! Luggage straps are a pretty great item to keep your luggage content safe. They keep your luggage tightly closed, making it easy for you and the airport staff to handle your bag. Plus, if you pick a colourful strap, you’ll spot your bag on the luggage carousel in no time! For more tips about getting through the airport, see 16 Airport Hacks That Will Change The Way You Travel Forever. Check out this colourful Luggage Strap! Although they add a bit of extra weight to your luggage, mini safes are a great way to store your valuables when on the go. Secured with a key, you and only you will be able to access the content of the box. Pro tip: make sure to get a TSA compliant safe. Check out this TSA compliant mini safe! Keep your power bank, batteries or even electronics safe in a fireproof battery bag. As proven by the infamous exploding iPhone or Samsung S7, batteries are the most flammable everyday item out there. And with freezing cold temperatures during your flight to the boiling hot temperatures during your summer road trip, your batteries will have a lot to deal with. Better spend under NZ$4 to avoid burning everything right?! Check out this convenient Fireproof Battery Bag! We’ve all got passwords, from Facebook to bank accounts. We can access almost all our life through a bunch of words and letters. Although there are many apps that help your keep track of your entire password list, having a separate device totally encrypted to keep all your passwords in one place is the safest way to do so. It also makes you confident in choosing a wide range of passwords instead of sticking to the same few ones. Get more info on Password Safe! At last, all your stuff should be safe with the tips above. Now it is time to keep YOURSELF safe! Make sure to carry a first aid kit with you in your luggage and on hikes. Invest in a small but complete first aid kit so it is not an inconvenience for you to have it in your day pack. Make sure to invest in a New Zealand-based travel insurance for the length of your stay, they are comprehensive and affordable and can come really handy in the event of emergency. For more information of handy items to have in your first aid kit, see Health Tips For Travelling in New Zealand. Check out this perfect Travel First Aid Kit and this New Zealand based travel insurance for backpackers!